Monocalcium Phosphate, Calcium Carbonate, Salt, Processed Grain by Products, Molasses Products, Magenesium Mica, Sodium Sulfate, Sodium Bicarbonate, Sulfur, Yeast Culture, Potassium Chloride, Potassium Sulfate, Magnesium Sulfate, Magnesium Oxide, Zinc Sulfate, Zinc Amino Acid Complex, Copper Amino Acid Complex, Maganese Amino Acid, Colbalt Glucheptonate, Manganese Sulfate, Manganous Oxide, Copper Sulfate, Zinc Oxide, Iron (Ferrous) Sulfate, Colbalt Carbonate, Vitamin A Acetate (stability improved), D-Activated Animal Sterol (source of Vitamin D3), dl-Alpha Tocopheryl Acetate (source of Vitamin E Activity), Lactobacillus Acidophilos Fermentation Product Dehydrated, Lactobacillus Casei Fermentation Product Dehydrated, Bifido Bacterium Thermophilum Fermentation Product Dehydrated, Enterococcus Faecium Fermentation Product Dehydrated, Sodium Selenite, Ehylenediamine Dihydriodide, Artificial Flavors, Artificial Color, Natural Spirces, Natural Extracts, and Mineral Oil. 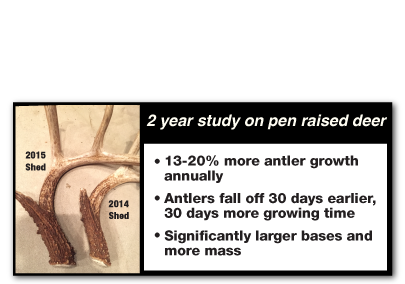 (less fillers equal more nutritional value for your deer. 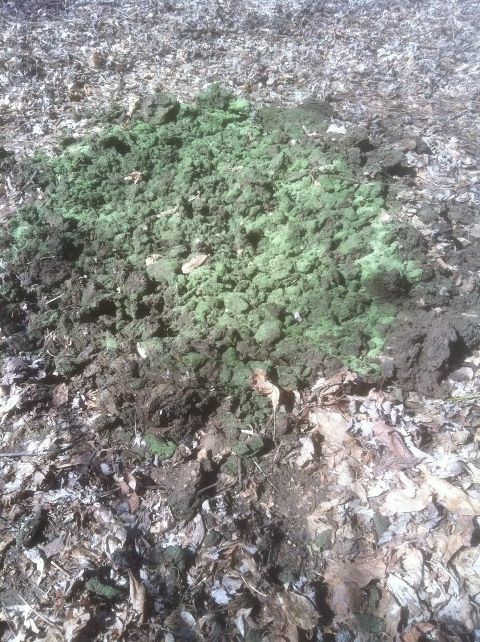 We just put out our BIG BUCK mineral at our Iowa farm Friday afternoon 03/09/2012 at around 4:00PM and came back on Sunday at 9:00 am 03/12/2012 and look how the deer already tore it up!! 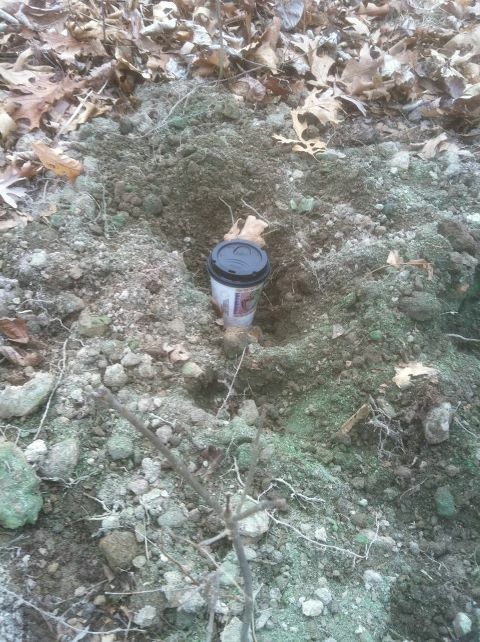 we put a coffee cup in one of the holes the deer made..... it was only out for 36 hours! This mineral REALLY works!!! This was re filled 05//07/2012, and look at how the deer cleaned it out! Big Buck Mineral will grow BIGGER RACKS!!! These ratios are comparable to those found in bone. A good mineral should supplement these nutrients, in addition to the amounts found in the basal diet or habitat, to provide these main, and/or "macro" minerals, in approximately the correct ratio. Big Buck Mineral® has these essential nutrients where as most other brands appear to have little to no nutritional value. Salt. Deer minerals should have 25-50% salt. 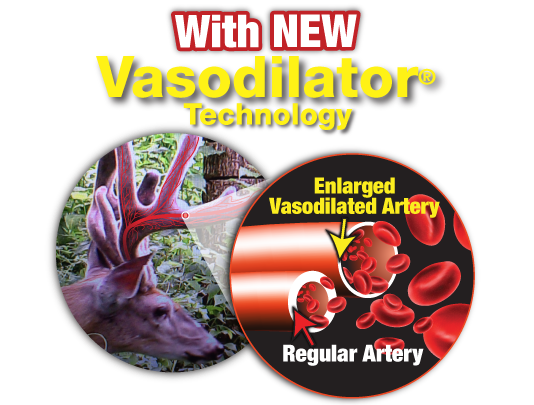 Higher levels are a cheap carrier, leaving too little room for Calcium, Phosphorus, etc, and lower levels tend to be ignored by deer, unless diluted with salt by the user. Trace Minerals. Antlers also contain various other minerals, including zinc and manganese. Research shows that deer are able to pull Calcium and Phosphorus from their bone for use in antler growth in season, and replace it in the bone during the times of year when antlers are not growing. But that same research has been unable to find that deer can resorb the trace minerals needed for antler growth from their bones. 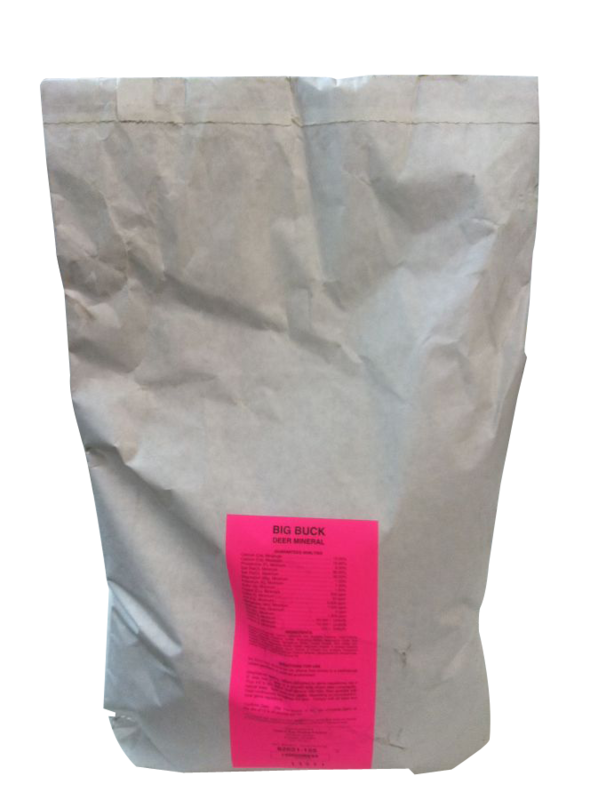 Big Buck provides these nutrients in balance, while others have little, none, or imbalanced levels.